Facebook photo album provides an easy way to share photos on the social media. Are you looking for a solution to embed Facebook Photo Album from your Facebook page into your Shopify store? Why not? It’s a great way to save cost hosting and optimize speed because images are not downloaded to your server, but rather they are directed to the viewers browser from Facebook’s Server. As a result you save hosting space, bandwidth and your user gets fast page load. Facebook Album by Anh Kiet is designed to show your Facebook Albums on your Shopify store. You can show album on a page as a gallery or slideshow. You can show many galleries and slideshows or albums on one page. Step-by-step guide to embed an entire Facebook photo album to your Shopify store with Facebook Album by Anh Kiet app. First, you must install Facebook Album by Anh Kiet app. You can find this app on Shopify App Store. An important step when installing the app, that is to get a Facebook token. You can refer this article to know how to do that. After retrieving the Facebook token you must fill this value into configuration field. In addition, you can customize some other parameters. Step 2: Upload all photos want to embed into an album in your Facebook page. Go to Support Tools page and use Generate Code tool to generate embed code. This is your embed code. When adding embed codes provided by Facebook Album by Anh Kiet, please note that you need to be in HTML or code view, otherwise the gallery/slideshow will not work. 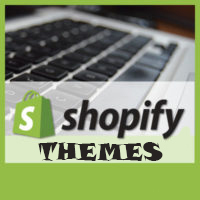 From your Shopify admin, go to Online Store > Blog Posts (or Pages). Click Add blog post (or Add page) to create a new post or click the title of the post to edit an exist post (or page). After you open this web page you’ll see the Visual Editor. There you should press “<>” (show HTML). After you press “<>” you will be able to manage the chosen web page in HTML. Paste the code in Step 4 into the needed area and click Save button. You just can embed photo from your Facebook page.